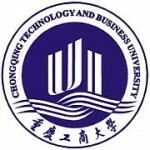 Located in Chongqing, China’s largest municipality, Chongqing Technology and Business University (CTBU) is a multi-disciplinary university that offers undergraduate, postgraduate and Ph.D. courses, mainly in economics, management, arts, literature, engineering, law and science. The university covers a total area of 450 acres. The main campus of CTBU is located on Xuefu Avenue in Nan’an District of Chongqing, close to the Yangtze River at the foot of Nanshan Mountain.The Chongqing Economic and Technological Development Zone is also close by. The beautifully landscaped campus benefits from convenient transport and telecommunications facilities. CTBU has another sub-campus, which is located in Jiangbei District. CTBU has a strong faculty, with over 2100 professors, teachers and support staff. More than 600 are associate and full professors, among whom 23 are recipients of the Special State Council Allowance. More than 30,000 students are currently studying at CTBU. The university consists of 22 schools that offer Ph.D. program in Applied Economics, 8 master’s degrees programs in catergory disciplines in regional economics, business management, environmental engineering, accounting, statistics, industrial economics, ideological and political education, and media, as well as 71 bachelor’s degrees. In addition, the university has two Sino-foreign joint ventures including the International Business School and Modern International Design and Arts Academy. The other two financially-independent schools are Pass School and Rongzhi School. Currently three provincial-level (municipal-level) key branches of learning and 15 provincial-level (municipal-level) key courses are offered at CTBU. On the campus eleven national and provincial/ministerial level research institutes have been set up, including “Research Center of the Economy of the Upper Reaches of the Yangtze River”, “Engineering Research Center for Waste Oil Recovery Technology and Equipment, Ministry of Education” and “Chongqing Key Lab of E-Business and Supply Chain System”. In recent years, CTBU has undertaken over 3,000 research projects of various types at different levels and won provincial/ministerial awards for over 100 projects. 221 national patents have been granted. CTBU attaches great importance to international cooperation and exchange. It has established ties with more than 50 foreign universities and organizations in 17 countries and regions. Joint-degree programs of bachelors and masters have been initiated together with over ten well-known foreign universities including University of Lincoln in UK and Université Toulouse 1 in France and HEC Montreal in Canada. The first ACCA program in Chongqing and CIMA program are offered and CFA(Chartered Financial Analyst) and ISM(International Settlements Master) programs are in operation. Welcome to CTBU! Contact us and discover more about what CTBU has to offer!